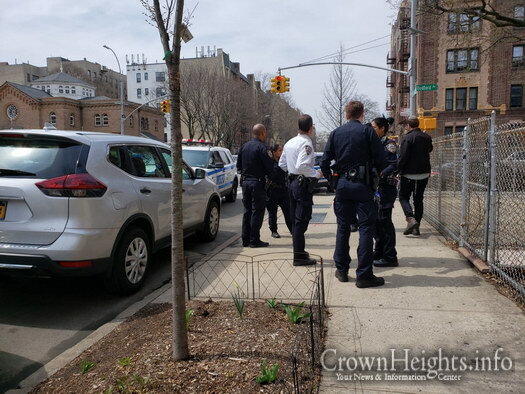 A man was arrested Monday afternoon after he damaged a door outside a Crown Heights store, and threw a brick at a Jewish worker. 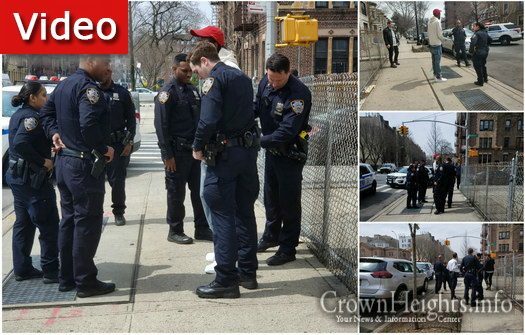 The man was taken into custody by the NYPD. 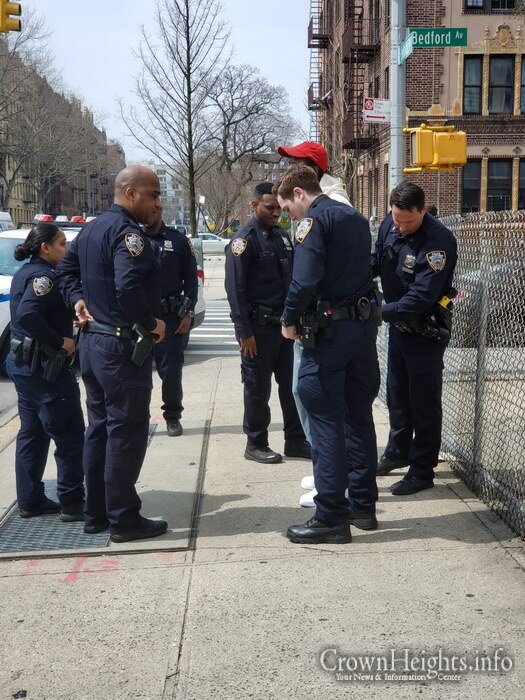 A man was arrested by the NYPD after a dispute over some litter ended with him throwing a brick at a Jewish Worker. 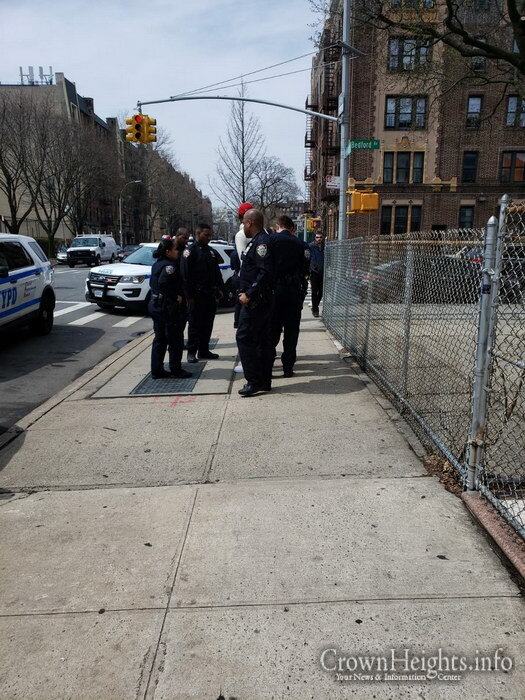 The incident all started just a few minutes after 12:00pm Monday afternoon at a Jewish owned warehouse on Empire Boulevard. 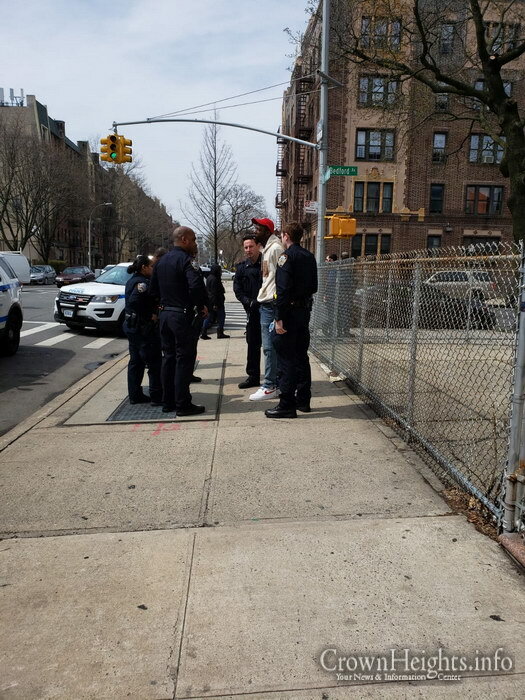 The man, described as a black male with a red hat, got into a dispute with a worker at the warehouse over him littering in front of the building. In an apparent fit of rage, the man grabbed a door leaning against the wall and threw it to the ground, damaging it. 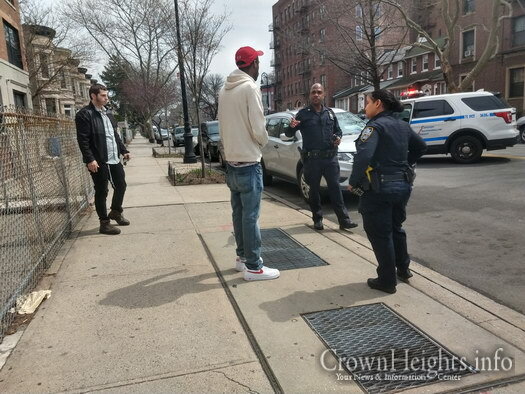 The worker began to follow him while calling 911 and Crown Heights Shomrim. The man turned around and attempted to punch the Jewish worker, who managed to push him away without being hit. This was followed by another attempt to hurt him when the man picked up a brick and threw it at the worker, hitting his arm. 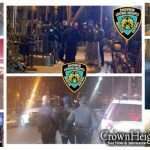 The police arrived within moments, and placed the man under arrest for assault.